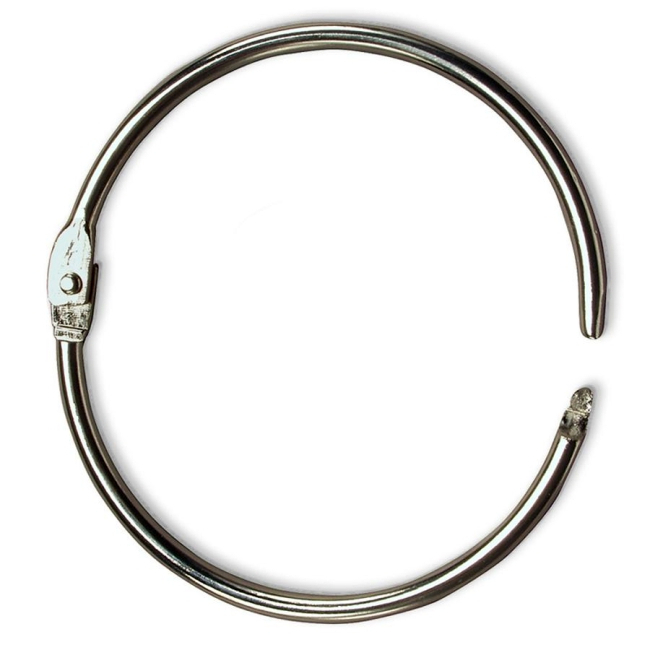 Loose leaf rings are nickel plated steel snap rings. The lock snaps open easily to insert punched materials, yet locks securely once it is closed. 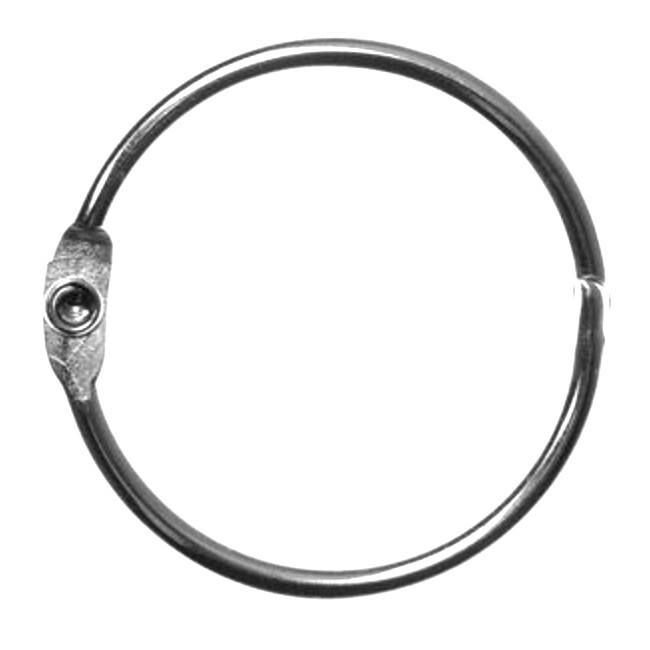 Rings are made of 0.118" diameter steel with a heavy nickel coating to resist corrosion. The inside diameter of these loose leaf rings is 1-1/2". * Inside diameter is measured from the hinge. When sizing the materials that you wish to insert, please include space for the ring to move once it is closed. Quantity per package is 100 for all loose leaf rings. We can supply larger quantities on request. Please call for a quote on orders of 30 or more packages.